From time to time I get asked by people researching their families from the 19th century census to explain the baffling system of numbering houses. In the Little Streets they will encounter house number such as 542, Glyn Square or 437 Creed Street. Sometimes the numbering on the Stratford Road seems bizarre. The first railway houses were numbered according to an LNWR system which numbered all railway properties starting with Number 1 at Euston and working north. Wolverton numbers therefore started at 336 and ended at 612. These numbers encompassed all the 1840s housing known as the Little Streets. A precise plan of this system in Wolverton is published in my book The Lost Streets of Wolverton. The convention of numbering odd houses on the left and even numbered houses on the right did not begin before the 20th century. Prior to that houses were numbered up one side and down the other. So, for example, Number 1 might be opposite Number 101. The Stratford Road is relatively straightforward, EXCEPT that up to 1900 numbering started from the wets. The house on the corner of the Cambridge Street back alley (with the former Drum and Monkey at the back) was Number 1, with numbers increasing to the east. Take some care with the earlier censuses because there was some infilling (on either side of the North Western for example) and some splitting of properties, especially the shops in the first section. Church Street was numbered in the 1871 Census, staring from 1 at the house on the corner of the back alley on the south side (presently 97) going east to the Science and Art Institute Caretakers house, and returning westwards. It is not clear whether these were simply numbers used by the census takers or whether they were official.. I suspect that in those days that the postal service was heavily dependent on local knowledge, so that a letter address to Mr Smith, Church Street, Wolverton was almost certain to be correctly delivered. Up to 1838 Wolverton had a scattered population, extending from Stacey Bushes Farm beside Bradwell brook in the south to Manor Farm in the north. The eastern limit was Stonebridge House farm and on the western edge there were Wolverton House, Wolverton Park, Debbs Farm and Kiln Farm. There was a cluster of cottages around the church which we know as the village of Old Wolverton. All in all there were about 400 people in Wolverton, a doubling of the population since the beginning of the century when the population was no bigger than it had been in 1086. There was no prospect for a market, and indeed no need, since the larger population of Stony Stratford could support a market, and had done since its foundation at the end of the 12th century. Wolverton’s rapidly growing population, which outstripped Stony Stratford in its first decade, put some pressure on the authorities to provide a market and at the end of 1842 it was agreed to build a Market House at a cost of £173 17s 6d. It was located beside the Stratford Road in the open space to the north of Glyn Square. 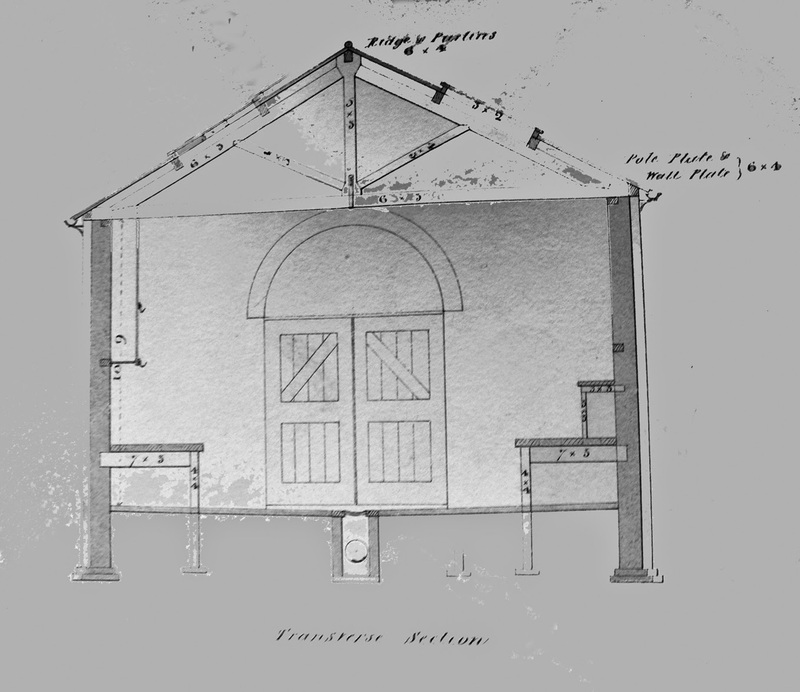 Here is a drawing in elevation. It appears to be a simple building. In 1884 work began on the widening of the road and bridge over the railway and at the same time it was decided to rebuild the market house. Probably at this time the two storey building was erected, although the market hall continued to use the ground floor. 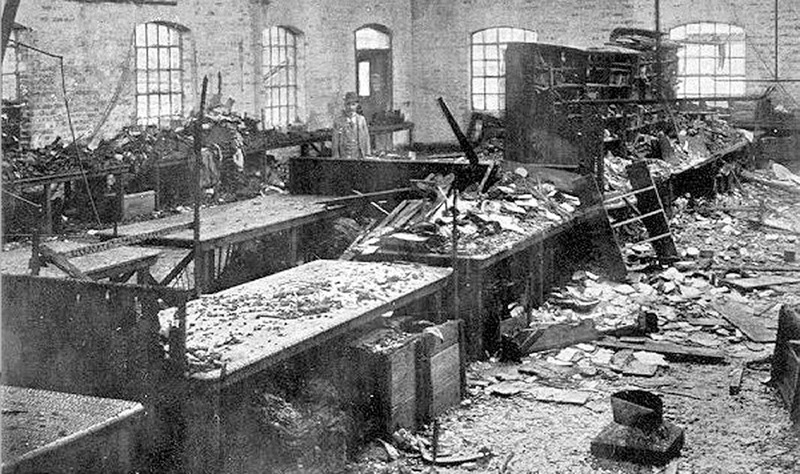 In 1906 there was a fire in the market hall and you can see the damage in the photograph below. At this time the boy’s school had just relocated to a new school building on Church Street so the market transferred, temporarily at first to part of the building on Creed Street. The old market hall in the mean time was restored and rebuilt. 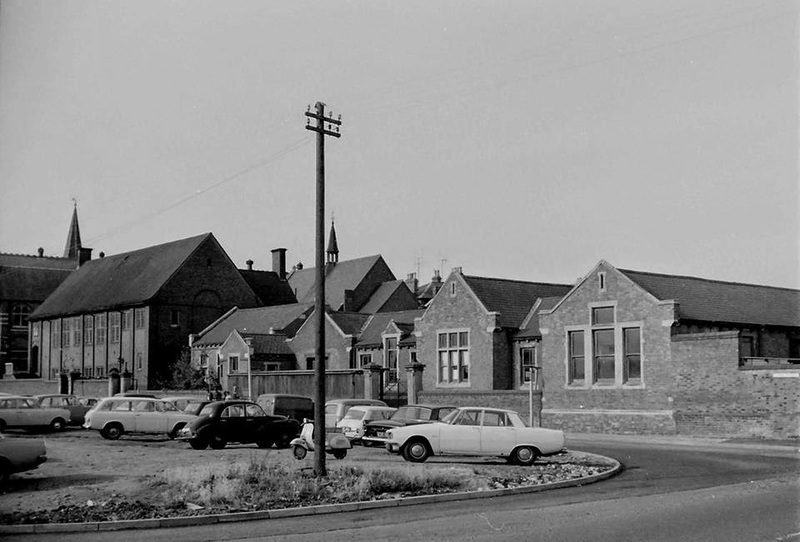 However, a new girls and infants school opened in 1908 on Aylesbury Street and the old school was now redundant. 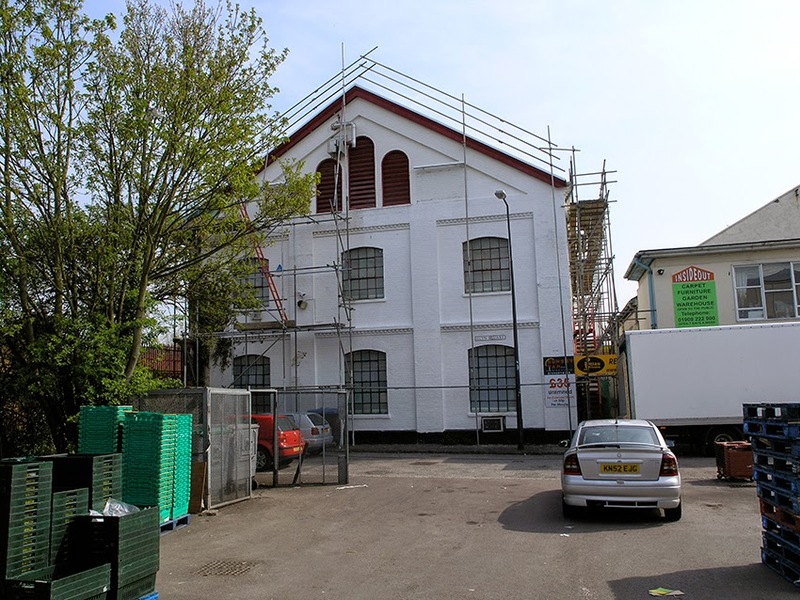 In consequence the market continued to occupy the building, expanding to fill most of it as Wolverton’s population and trade steadily increased. This market was extremely busy every Friday and many travelled from North Bucks villages on special buses, and of course by train from Castlethorpe, to make their weekly purchases. 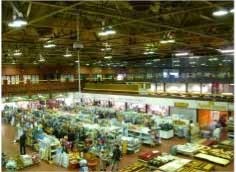 this thriving market was closed in 1980 and transferred to the new Agora building on Church Street. The market continues, although in scale and quality it does not approach its former glory. this may have more to do with the rise of supermarkets and changes in people’s shopping habits than its location. Although Wolverton was very much a new industrial town there were still strong ties to the country and country ways. In 1865 Wolverton Station was approximately 25 years old and a generation had grown up there which had only known town living. The Ox-Roast held on Whit Monday, June 5th 1865 was a wonder and a source of excitement to many. It was occasioned by the first livestock market to be held in Wolverton in the previous week, on Wednesday May 31st 1865. Farmers had come in from the surrounding countryside and it was reported that 189 cattle, 529 sheep, 55 pigs and 30 horses were sold. The Royal Engineer, the North Western and the Victoria Hotel did a roaring trade and the market had been judged such a success that the Wolverton tradesmen bought a bullock from a Castlethorpe farmer, Mr Pike, for £22 10s. 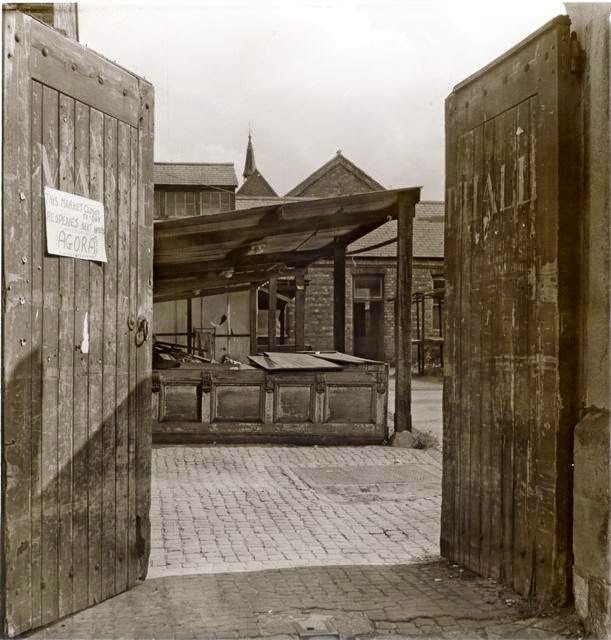 The newspaper report does not say where this market was located but it was presumably around the Market House, which was later built over by the two storey white building presently on the site. The bullock was butchered and hung for a few days and on that Monday slowly roasted on a spit. The fire and spit was set up on part of the Church Street car park. At the time this was between the newly built Science and Art Institute and the caretaker’s house. After well over 20 years of planning the new Science and Art Institute was finally under construction and due to be completed. It did not actually open until 1864 by on June 21st 1863, to mark the scientific progress that the new institution symbolised, a balloon ascent was organised. At this date this was the only available form of air travel and naturally this created great excitement. People came from far and wide to witness the event. Special excursion trains made their way to Wolverton from the north and south.The balloon was built by a man named Coxwell, who took part in the ascent. It was capable of holding 90,000 cubic feet of gas. The Stratford Road was just under development and the site where the Tesco supermarket presently stands was still a field. Accordingly this was chosen to inflate the balloon. It took quite a while to inflate the balloon, presumably from Wolverton’s gas supply and when the balloon held about 66,000 cubic feet, just over two-thirds of its capacity, Cowell gave the signal to the many men holding the ropes to let go. According to a contemporary report the ascent started at two minutes past one and the balloon slowly and gracefully ascended and moved in an easterly direction. After about fifteen minutes it was out of sight and perhaps ten miles away. After witnessing the VIP’s assembled in the new Victoria Hotel for lunch. The local MPs, local clergy and senior railwaymen like J E McConnell and J Ramsbotham made up the bulk of the party but most prominent were the Duke of Sutherland, who took a strong interest in these events, and Sir Rowland Hill, the founder of the “Penny Post”, John Hanning Speke, who had discovered the source of the Nile, and Michael Faraday, the distinguished scientist. Professor Faraday, who was then near the end of his life, spoke at the luncheon, and told those present that he had seen a balloon ascent when he was a boy and it was this that excited him to take an interest in science. He had witnessed wonderful progress over the pst 50 years and had not doubt that the next 50 years would bring about remarkable progress in scientific achievement. How right he was. At four o’clock all and sundry, upwards of 2000 people, moved to one of the workshops which had been prepared for a concert. Various musical talents were assembled including Wolverton’s Barss Band, which opened the proceedings. This was followed by a ball. The proceeds from the concert and dance went to the Northampton infirmary – later Northampton general Hospital. 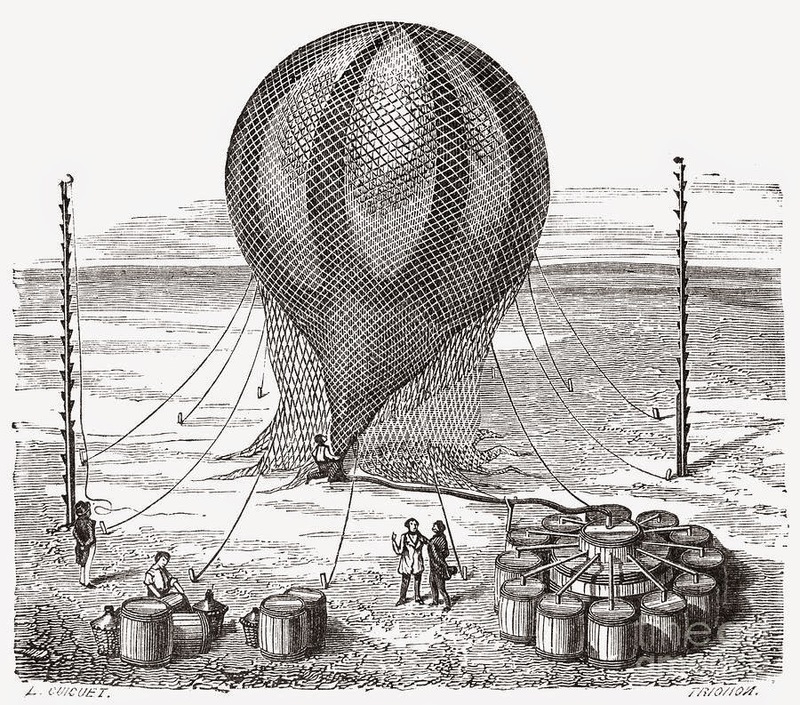 At about 8 o’clock a telegram arrived to report that the two balloonists, Coxwell and Glashier, had descended at the village of Littleport near Ely at 2:28 pm. The distance travelled in that hour and a half was about 70 miles. Ballooning was a risky business for these intrepid pioneers. On this occasion they passed through snow storm at a height of three miles and on previous occasions, at a height of 5 1/2 miles Glashier had passed out, and at 7 miles, Coxwell’s hands were so numb that he could only release the gas valve with his teeth. This was a deliberate attempt to achieve the highest altitude ever, and in this they succeeded. 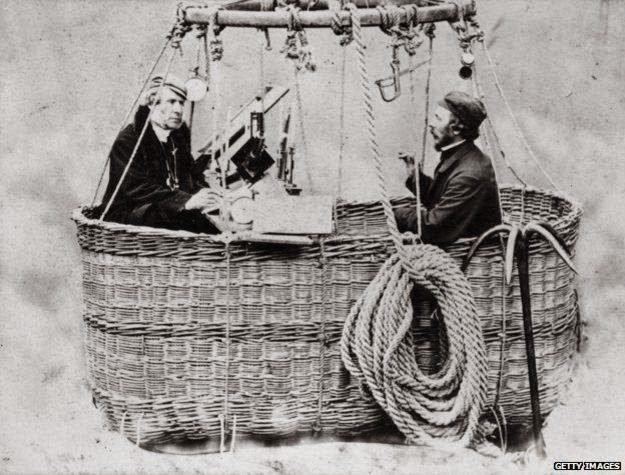 Cowell was the experienced balloonist nd had been at it professionally since 1848. his companion Dr Glashier was a Fellow of the Royal Society and had been recruited by Coxwell to undertake the scientific measurements. I have written before about Green Lane. it was originally part of an ancient medieval ridgeway that traced a line from brill, through steeple Claydon, Thornton and Calverton. The track crossed the wailing Street at Gib Lane and proceeded eastwards through Greenly, eventually joining the newport Road at Stonebridge House Farm. All that visibly survives today is the track besides the cemetery and the street still named Green Lane. The canal interrupted the road but there may have been a tunnel under the canal for the movement of livestock. The railway interrupted the line of the road, although a crossing was still possible it may be that the farmer preferred to use the Blue Bridge. So by about 1850 the track probably ended at Ledsam Street. The old road was not without its attractions. The trees on either side offered a degree of privacy to courting couples and was thus a favourite rendevouz for lovers. It also was useful as a venue for fights where two men could slug out their differences without observation and interference from the local constable. There are also reports from the 19th century that this was a popular area for picking mushrooms. Apparently the trees provided enough shade and cooler temperatures for the plentiful growth of mushrooms. At this stage in the 19th century Green Lane was very much “outside” the town of Wolverton. there were no buildings on the Stratford Road west of the Royal Engineer and the church and vicarage so Green Lane was very much in the country.